Throughout this document, we will use a few terms to describe various roles. Foodgroot Members have signed up to use our service and created an account. 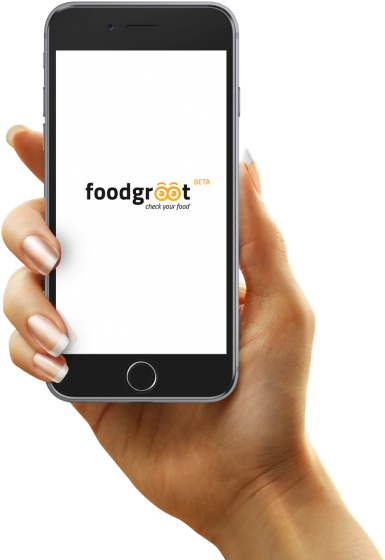 Foodgroot Users are people who are scheduling with a Foodgroot Member and have not registered and created an account with us. Foodgroot is not directed to children under thirteen (13) years of age and we do not knowingly collect personal information from children under 13. If we discover that a child under 13 has provided us with personal information, we will promptly delete such personal information from our systems. Email. When you decide to provide email to our database, you will receive a number of newsletters with the news and new features and promotional offers from Foodgroot. You can unsubscribe at any time. Log & Device data. When you use Foodgroot, our servers automatically record information (“log data”), including information that your browser sends whenever you visit our Website. This log data may include your web address you came from or are going to, your device model, operating system, browser type, unique device identifier, IP address, mobile network carrier, and time zone or location. Whether we collect some or all of this information often depends on what type of device you’re using and its settings. For example, different types of information are available depending on whether you’re using a Mac or a PC, or an iPhone or an Android phone. To learn more about what information your device makes available to us, please check the policies of your device manufacturer or software provider. Other Web Site Analytics Services. Subject to your opt-out preferences (see Your Rights and Choices below), we use third party service providers such as Google Analytics to provide certain analytics and user interactions services to Foodgroot in connection with our operation of our Platform, including the collection and tracking of certain data and information regarding the characteristics and activities of visitors Foodgroot. You may opt-out of Google Analytics’ and Mixpanel’s cookies using Opt-Out Features on their respective websites. Provide the Foodgroot Service. We will use your information to provide our Platform and services to you; to facilitate scheduling; to manage your account; to respond to your inquiries; and for other customer service and support purposes. We use the payment information you provide to us in order to alert you of past, current, and upcoming charges, to allow us to present the billing history to you on your billing page in the platform, and to perform internal finance processes, such as looking the status of a credit card charge. In the event of a credit card dispute, we also share account information with your bank to verify the legitimacy of a charge. Promotional. Subject to your opt-out preference, we may send you emails about new product features or other news about Foodgroot or on topics we think would be relevant to you. You may opt out of receiving these communications at any time. Visit the Your Rights and Choices section below. For Foodgroot users who are not Foodgroot Members, please be assured that we do not use the email addresses that you enter through email invitations to send any type of direct marketing. Consent. We may use your personal information as described in this Policy subject to your consent. To withdraw your consent, please contact us at support@Foodgroot.com. You may also refrain from providing, or withdraw, your consent for cookies. Please see Your Rights and Choices below for more information on opt-outs. Performance of a contract. We may need to collect and use your personal information of Foodgroot Members and Foodgroot Users, as applicable, to perform our contractual obligations. Account. In order to keep your personal information accurate and complete, you can log in to review and update your account information, including contact and billing information, via your account settings page. You may also contact us to request information about the personal data we have collected from you and to request the correction, modification or deletion of such personal information. We will do our best to honor your requests subject to any legal and contractual obligations. If you would like to make a request, cancel your account or request we delete or no longer use your account information to provide you Services, contact us at hello@Foodgroot.comor the address set forth at the end of this Policy. Subject to applicable law, we will retain and use your account information only as necessary to comply with our legal obligations, resolve disputes and enforce our agreements. Our application and database servers are located with Amazon Cloud Services in the United States. Amazon Cloud Services has certified with the Department of Commerce that it adheres to the Privacy Shield Principles under the EU-U.S. and Swiss-U.S. Privacy Shield frameworks. If you are an individual located in the European Economic Area, the United Kingdom, Canada or another jurisdiction outside of the United States with laws and regulations governing personal data collection, use, and disclosure that differ from United States laws, please be aware that information we collect (including through the use of methods such as cookies and other web technologies) will be processed and stored in the United States or in other countries where we or our third-party services providers have operations. By submitting your personal information to Foodgroot and using Foodgroot, you expressly consent to having your personal data transferred to, processed, and stored in the United States or another jurisdiction which may not offer the same level of privacy protection as those in the country where you reside or are a citizen. California Information-Sharing Disclosure. California residents may request a list of all third parties with respect to which we have disclosed any information about you for direct marketing purposes and the categories of information disclosed. If you are a California resident and want such a list, please send us a written request by email to hello@Foodgroot.com with “California Privacy Rights” in the subject line. This Policy is current as of the Effective Date set forth above. We may change this Policy from time to time, and if we do we’ll post any changes, including any material changes, on this page, so please be sure to check back periodically. If you continue to use Foodgroot after those changes are in effect, you agree to the revised Policy. If you have any questions or comments about this policy, please contact us at hello@foodgroot.com Sněmovní 7, Praha 1, Czech Republic.